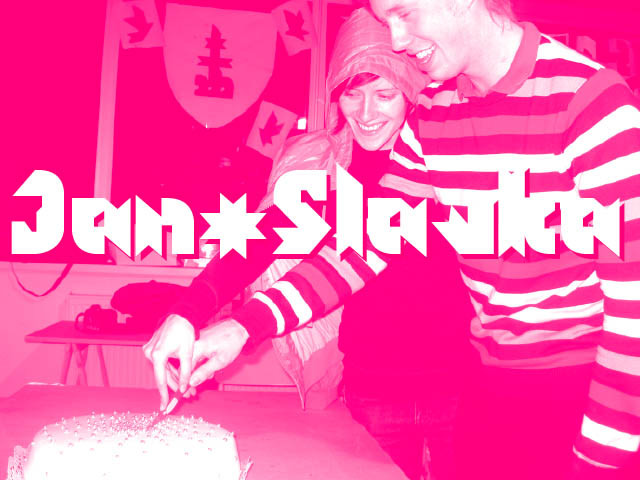 The first visual speed date ended in a real wedding of Jan & Slavka. Their two modules fell in love. They belonged so much to each other, that these two modules were turned into a complete typeface. All upper- and lowercase characters were developed on the second day. For the wedding ceremony, typographic aphroditing posters were created as well as a love-poem. See the pictures for an impression of the wedding, and see the PDF for the digital Maiden typeface. The wedding ended like a real wedding does: late at night, too much alcohol (also for the priest), the missing bride and an overcrowded dance floor.